The Nova Scotia gold rushes did not have the frontier quality of California and the Klondike. 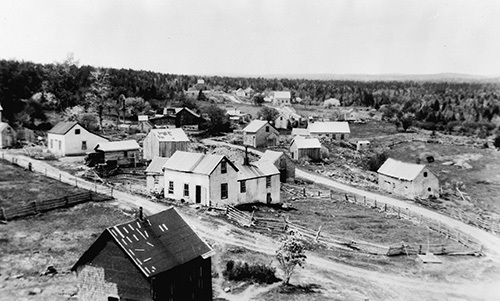 Because gold mining areas were not far from established communities, families often joined the miners and managers, leading to the creation of new towns near the gold mines. Houses, schools and churches balanced the influence of saloons to establish some civility. 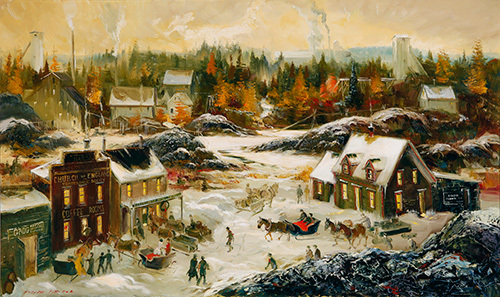 Places such as Goldenville, Mooseland, Waverley and Goldboro owe their existence to gold. When the boom went bust, many of these towns were abandoned as those seeking their fortune were forced to look elsewhere. Traces of this past can be found overgrown in the woods of Nova Scotia. Mount Uniacke, 1936. DNR Historic Scans 203982.